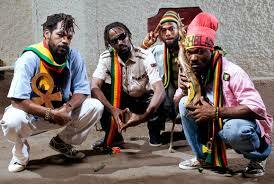 The Uprising Roots from Kingston, Jamaica, share their positive vibrations through music. Darren and Kush join us. Gloria Simms “Mama G” talks about indigenous Jamaican culture and it’s role in modern life. Senator Lena C. Taylor from Wisconsin’s 4th District on politics, ethics, and civility. Music by: The Uprising Roots, Etana, Blackfire, Laura Nyro, and The Beatles.